I missed National Chocolate Chip Cookie day last Thursday, May 15th. I’m sorry, please forgive me. (Who makes up these holidays anyway?) 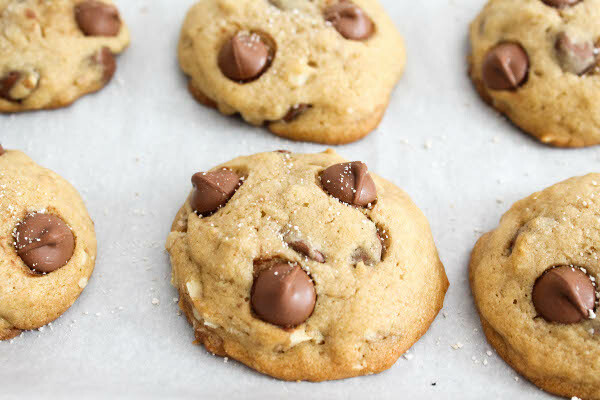 To make amends, here are some irresistible soft and chewy chocolate chip cookies, which I know you would never turn down. Especially because they are sprinkled with smoked sea salt. I know we’re all friends because we like Sweet and Salty, right? And by Salty, we’re not talking about a former Red Sox catcher (even though he is very good-looking, and actually looks kinda sweet). We’re talking about a light sprinkle of sea salt on top of desserts. Salt coaxes out flavors, cuts the richness of chocolate and sugar. 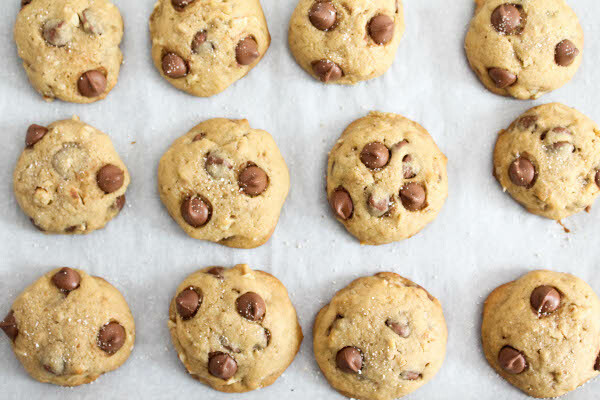 It elevates classic treats like these chocolate chip cookies. 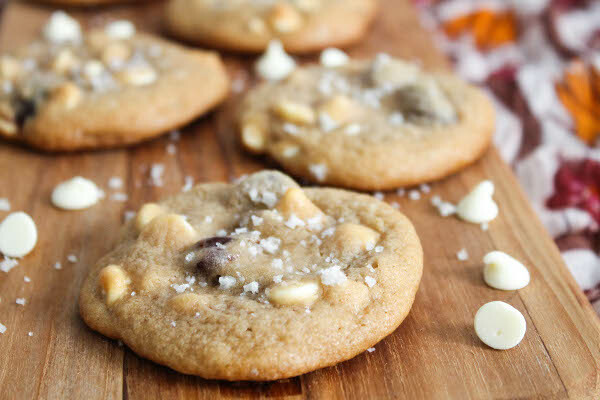 I modified my recipe for White Chocolate Cherry Cookies with Sea Salt – this is one of my favorites because it’s a very easy, no frills recipe that yields soft and chewy cookies. You just need one bowl, you don’t need a mixer. I have all kinds of salts at home but the smoked salt I used here was from pastry chef Brian Mercury of Harvest – same guy who makes my favorite Taza Chocolate Cremeux. He makes his own salt, too, no biggie. I sprinkled espresso salt on another batch of these cookies, and I prefer the smoked sea salt. I think espresso salt works better with dark chocolate and other richer, more intense desserts. I buy my espresso salt at a local spice specialty store (Christina’s in Inman Square) but you can buy it on Amazon. You can buy pretty much anything on Amazon. Oh and I looked up if there’s a National Sea Salt Day… the closest thing that Google gave me was National Salt Awareness Week. It doesn’t sound as fun. Add eggs, vanilla extract, salt, and baking soda, and mix until smooth. Stir in the flour until evenly incorporated (do not overmix). 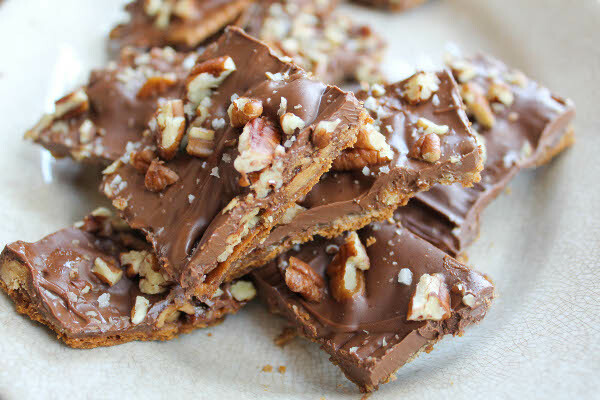 Fold in chocolate chips and walnuts. Using a standard cookie scoop (or a heaping 1 tablespoon of dough), portion out dough on a parchment paper lined cookie sheet. Bake in the middle rack one sheet at a time, for 10-12 minutes, or until beginning to lightly brown. Sprinkle smoked sea salt on each cookie. Let cookies cool on the baking sheet for 5 minutes. 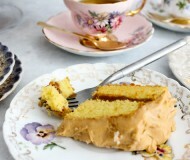 Favorite salted dessert – caramel – yum! These are lovely. Smoked sea salt sound wonderful – hope you have a terrific week. You, too, Tricia! Mmmm salted caramel. I love smoked sea salt on cookies, so good! I also am obsessed with that Espresso Salt you turned me onto, though I haven’t used it nearly enough. It’s hard not to be obsessed with that espresso salt once you get a taste of it! Have a great week, Lauren! 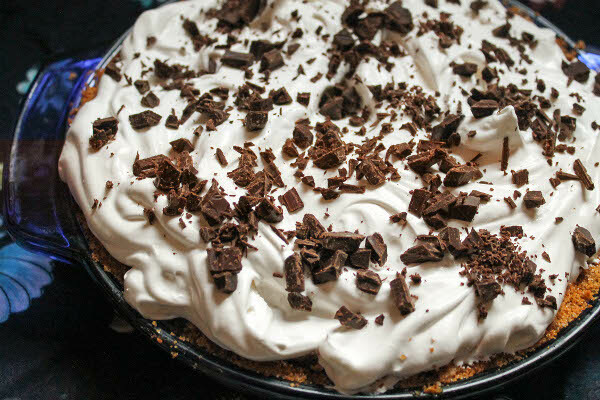 I loooove sea salt on desserts! These look fantastic. Smoked sea salt is where it’s at Bianca. 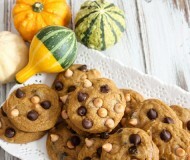 Those cookies look killer, great recipe and great pictures too! 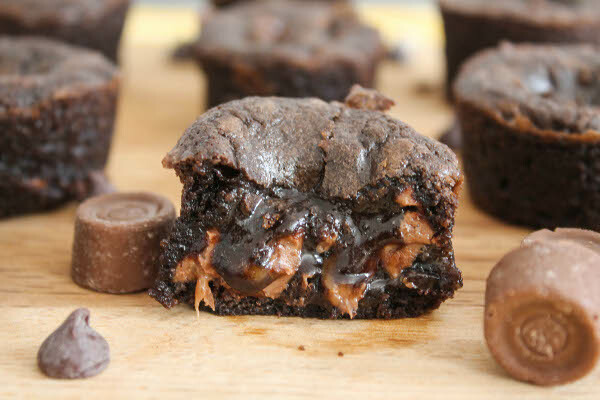 Woah those pics are making me drool right now. :) All those chocolate chips, mmm. *claps* YES! My kind of cookie! I love salty/sweet combos, and these look great. I so understand the beauty of sweet and salty -I have been sprinkling sea salt on my moose tracks frozen yogurt, my daughter thinksam a littlecrazy,but its so good – have you tried salt on any chocolate type frozen yogurt yet? 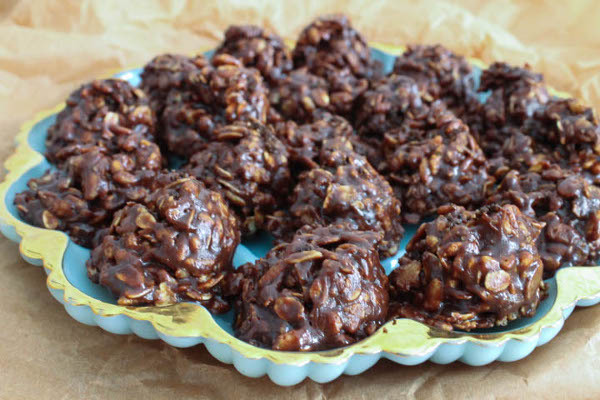 A smatter of sea salt offsets the chocolate in these cookies so well – such a brilliant idea Bianca! And here I am with only boring table salt in my house. These cookies are calling my name! You should definitely try some sea salt soon! You speak my language! I want one, okay 2 or 3. Fine 4 will be plenty ahah! I live in Boston! Cookie-speak is a love language, right? Every day is chocolate chip cookie day around here! Yours look amazing! Thanks, Liz! Everyday SHOULD be cookie day! I’m chomping on some relatively similar choc chip cookies myself today, Bianca. Nothing beats a homemade choc chip cookie fix. Wish I could have a dozen of yours. 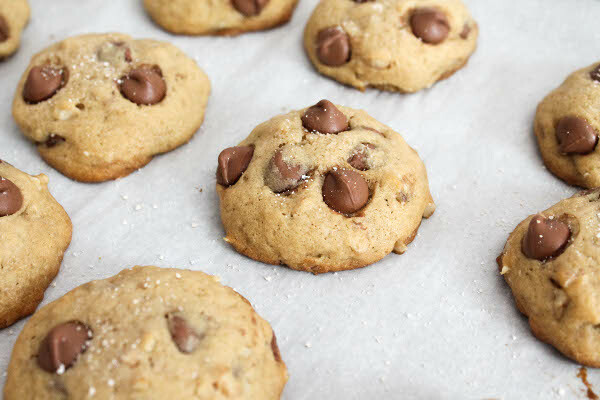 I love seasalt on my chocolate chip cookies! I’ve never thought of using the smoked variety though, that’s such a brilliant idea! I just drooled all over my laptop. Holy yum. haha I can never keep up with all the food holidays! Too many! 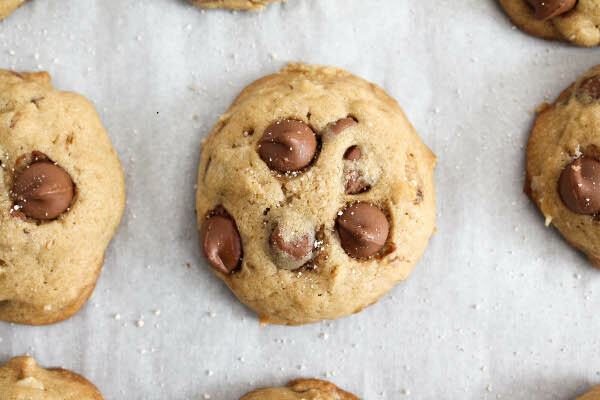 These look amazing – I cannot get enough of salt on my cookies! Oh these look so good. I got some smoked sea salt for Christmas so I think I’m going to be trying it out in a sweet snack like this! These cookies look divine, Bianca! Love the recipe! These cookies look crazy delicious!! Love love love that they are topped with sea salt – I’m kinda obsessed. Oh boy! I could gobble some of those cookies up right now! They look so yummy!